Lunar Atmosphere and Dust Environment Explorer (LADEE), a robotic mission to gather information about the structure and composition of the thin lunar atmosphere, is preparing for a launch scheduled at 11:27 p.m. EDT Friday, Sept. 6, from the Wallops Flight Facility on Wallops Island, VA. LADEE will orbit the moon to collect information about the lunar atmosphere and determine if dust is being lofted into the lunar sky. Understanding these characteristics of the Moon will help understand other celestial bodies of the solar system such as Mercury, moons of other planets and asteroids. decommissioning. 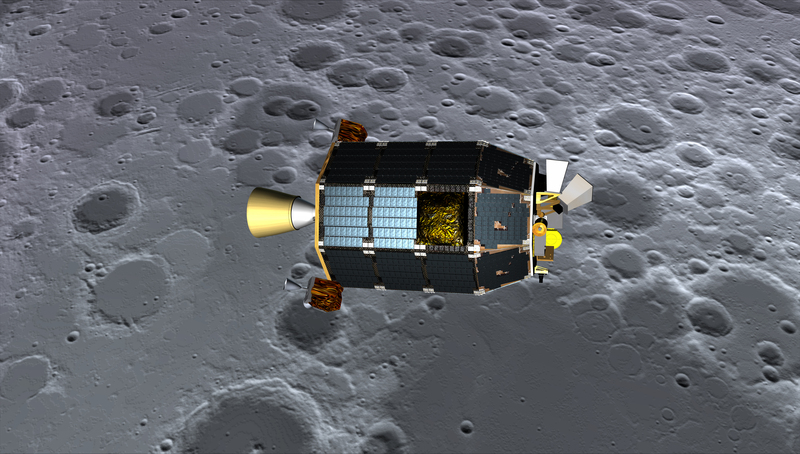 It carries an Ultraviolet and Visible Light Spectrometer (UVS) and a Neutral Mass Spectrometer (NMS), Lunar Dust Experiment (LDEX) and Lunar Laser Communications Demonstration (LLCD). The spacecraft was designed, developed, built and tested by NASA AMES in Mountain View, CA. AMES will control the spacecraft after the launch, and manage the science phase. The UVS will determine the composition of the lunar atmosphere by analyzing light signatures of materials it finds, while NMS is designed to measure lunar atmospheric variations over multiple lunar orbits with the moon in different space environments. LDEX will collect and analyze dust particles in the lunar atmosphere with the aim of addressing a longstanding mystery – was it the lunar dust, electrically charged by solar ultraviolet light, that gave rise to the presunrise horizon glow seen by Apollo astronauts. LADEE spacecraft will demonstrate the use of lasers instead of radio waves, which is the current method, to achieve broad band speeds for communicating with Earth – this is the LLCD.